Object-C Categories | Madplanet.com Inc. When I read about Object-C Categories the first time I did not really understand what was good for. But as usual I need to actually use it in order to understand it but at least I had an idea where I could use it. So what is it good for. Well, let’s have a look at the problem I faced. For the Minibloq project I used a quite elaborate cell and because there is a lot of code that needs to be handled within the cell I created a View Controller for the content of the cell. 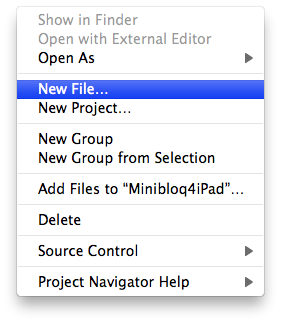 This is not too difficult to do until I had to code the scenario when a cell is reused. Then I need to get a hold of the View Controller in order to adjust its settings. Unfortunately there is no reference on the cell and so I would need to store that in the table’s view controller but that is not very elegant and use too much code. So what if we could add a new property to the cell that would contain a reference to my view controller so that when I get the cell back I can just ask for the view controller and then use it there. That is exactly what the Categories are good for. If you are familiar with Aspect Oriented Programming a Category is what in AOP is called a Mixin which in other word is an dynamic extension of a class. That makes it possible to change or extend a class where we might not have the source code available or cannot change the code ourselves. 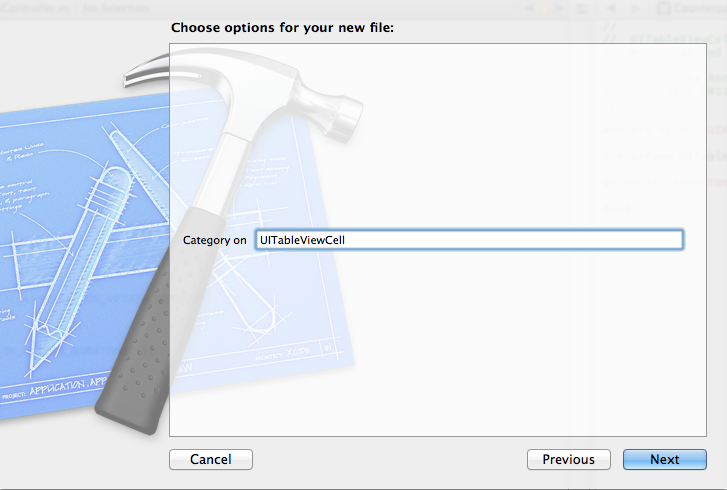 So far I created a category that will extend the UITableViewCell and allows me to add functionality to the base class. So I could create a property containing a reference for the View Controller and so we are done. 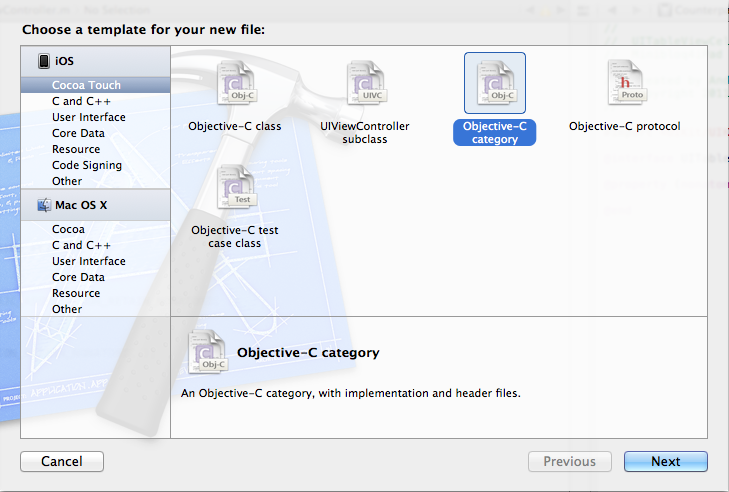 But not so fast was what XCode 4 was telling me. It turns out that I cannot synthesize a property or use a property inside a Category and so I had to use some magic. 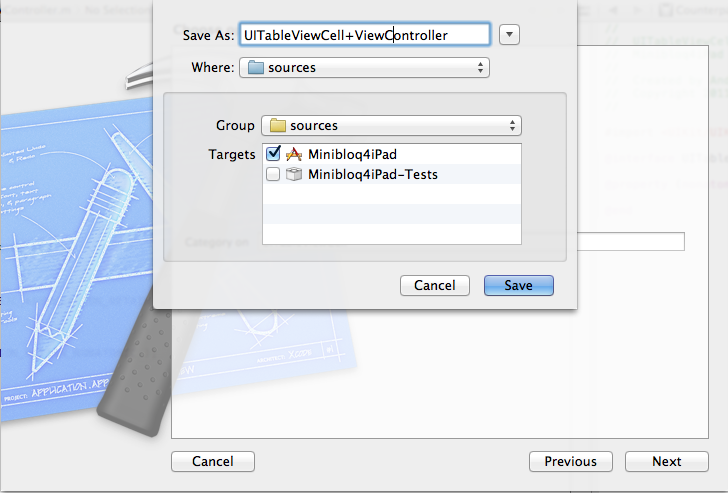 // Now we can obtain a reference to its view controller whenever we need it.